If you have a big craving for tea, here you go! If you’re having a craving for tea, I’ve got just the thing! 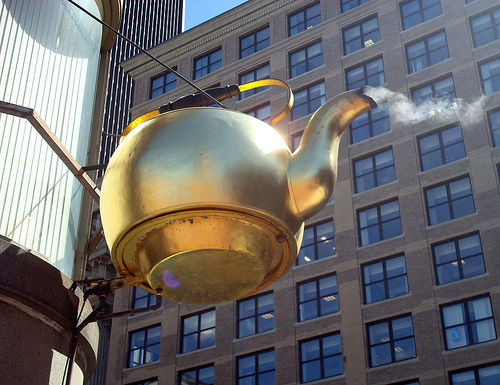 If you go to the corner of Court and Tremont Streets in Boston and look up, you’re likely to see this huge teapot steaming away. Built by Hicks & Badger in 1873, this giant kettle has been a Boston tourist attraction for many years. The teapot has an apparatus inside that makes it “steam” year round. Locals say the steam is much more pronounced in the colder months. The “Big Teapot” is perhaps best known for its part in a major publicity stunt held in 1875, when a contest was held to guess the exact capacity of the giant kettle. Over 13,000 guesses were submitted and more than 10,000 spectators filled the square on the day the capacity of the kettle was measured. It took over an hour for Boston’s Sealer of Weights and Measures to fill the kettle and learn exactly how much it would hold. At 1:05 the total was announced: 227 gallons, 2 quarts, 1 pint and 3 gills. For a grand total of 1897.09675 lbs. Conclusion: This pot of tea weighs more than me. Want to work out with The Fat Chick? Check out my free live streaming or just buy the DVD. Craving justice and equality in health care? 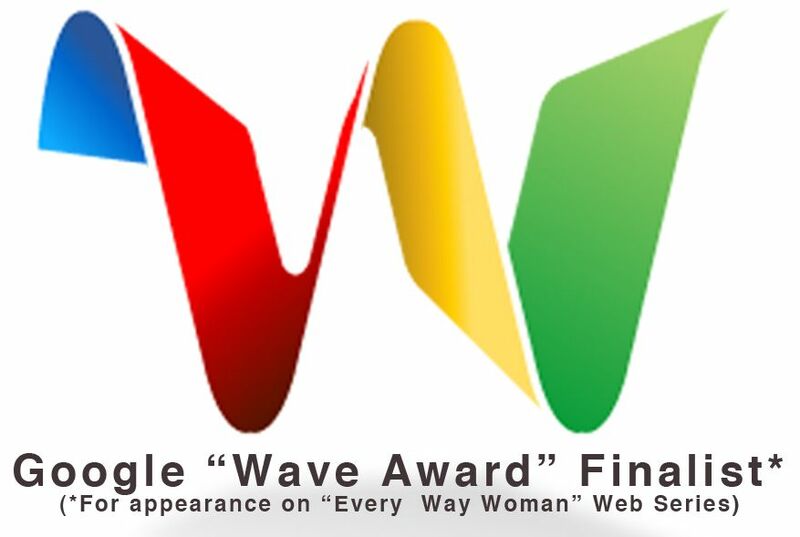 Why not consider taking the time to create a video for the Resolved project hosted by The Association for Size Diversity And Health as well as the Size Diversity Task Force. But hop to it! The Size Diversity Task Force deadline is in just one week! This entry was posted in Uncategorized and tagged Boston, craving, HAES, Health At Every Size, Size Diversity, Size Diversity Task Force, Starbucks, steam, stuff that weighs more than me, the Big Teapot on April 12, 2013 by fatchicksings.